I think I’ve mentioned before that my very favourite skincare is created by the French brand Caudalie. I always come home from France with a stack of Caudalie products. While I am occasionally unfaithful – usually trying different skincare brands when I run out of Caudalie, which is not readily available in Australia – I always return to this French pharmacy classic. These vine and grape based products contain a whole lot of natural ingredients, although I’m equally impressed by all the nasties they leave out. I prefer my skincare without parabens, phthalates, sodium laurel sulphate and the like. 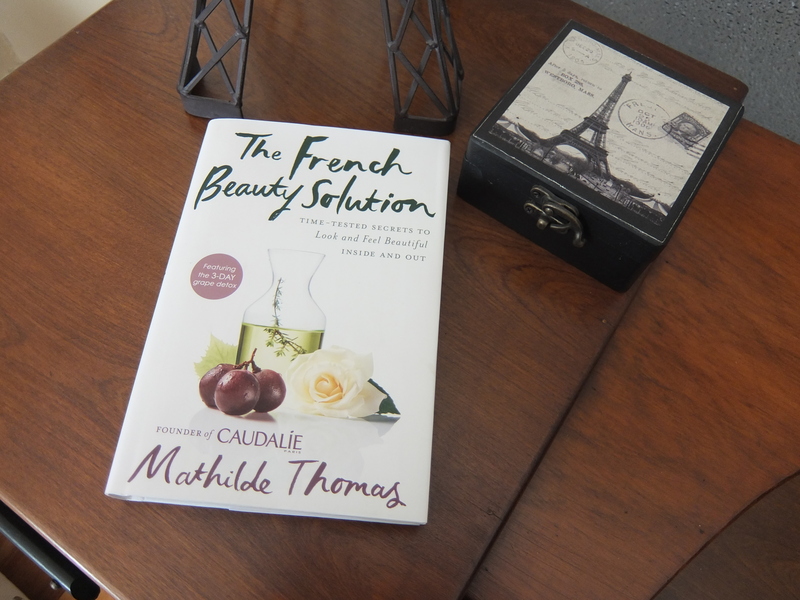 Given I am such a fan of Caudalie products, I was curious when the gorgeous co-founder of the company, Mathilde Thomas recently released a book. I waited a little while to see if The French Beauty Solution would become available in an electronic format. When it didn’t, I decided to order the hardcover book directly from the U.S. (just like the skincare, I couldn’t find The French Beauty Solution in Melbourne). The book is separated into five parts, concentrating on the French lifestyle, skin, skincare, makeup and hair and finally a grape cleanse. Luckily for me, the long hot days of the Australian summer have allowed me to brush up on all I need to know about Mathilde’s approach to glowing skin. Title: ’The French Beauty Solution. Time Tested Secrets To Look And Feel Beautiful Inside And Out’. Published: 2015, Hardcover, 264 pages. The early parts of the book. Especially the Introduction which shared the history of the Caudalie company and Part One, which provided insights into the French lifestyle. It is always interesting to get a deeper understanding of the brands we use and to compare cultures. I also enjoyed the makeup tips – I’ve always been abysmal at applying even the simplest of cosmetics. The illustrations. The French Beauty Solution is beautifully decorated with illustrations by Stéphane Manel. The styling of the book itself. Lots of white with red wine coloured headings and illustrations – clever given the Caudalie association with all things wine related. The information on the grape cleanse. Personally I’m a fan of eating well all year round, and tend to avoid cleanses, detoxes and the like. The hardcover format. It’s funny, I normally love hardcover books (and go out of my way to get my hands on them) but I feel this book would work better as a soft cover – maybe because it would have been easier to read by the pool. If you are a fan of Caudalie then this book is definitely worth picking up. And even if you are not, you are sure pick up some useful tips from The French Beauty Solution. Have you read The French Beauty Solution? Or maybe you’ve got a favourite Caudalie product. If so, I’d love for you to share your thoughts in the comments below. Please note: this was an unsolicited post and no compensation of any kind has been received from Caudalie or Mathilde Thomas. I’ve never heard of the book or the products. Is it worth putting on my ‘must buy’ list for my upcoming Paris adventure? I’d certainly be having a look at it Claire! I’ve tried cleansers, masks, serums, moisturisers and even the hand cream and I’ve loved them all. They have a wide range of choices for various skin needs, and a variety of price points and they are easy to find – just about every pharmacy I’ve been into in France stock the Caudalie range. When do you head off to Paris Claire? I’d love hear about your adventure (or follow it on Instagram if you are an Instagrammer). Thanks Janelle, it’s on my list. I’m lucky enough to have two trips planned for the year. I have a significant birthday this year and will be celebrating with a month in Paris, Bordeaux, Bern and Vienna in April/May. Then at the end of November we are taking the kids to Italy, via a couple of weeks in UK/London and Lyon. We’ll be back at the end of January. You already follow me on Instagram – travelbyclaire. Get ready for some Paris photos. Both trips sound fabulous, and you are certainly visiting some amazing cities. And Christmas is just breathtaking wherever you are in Europe. 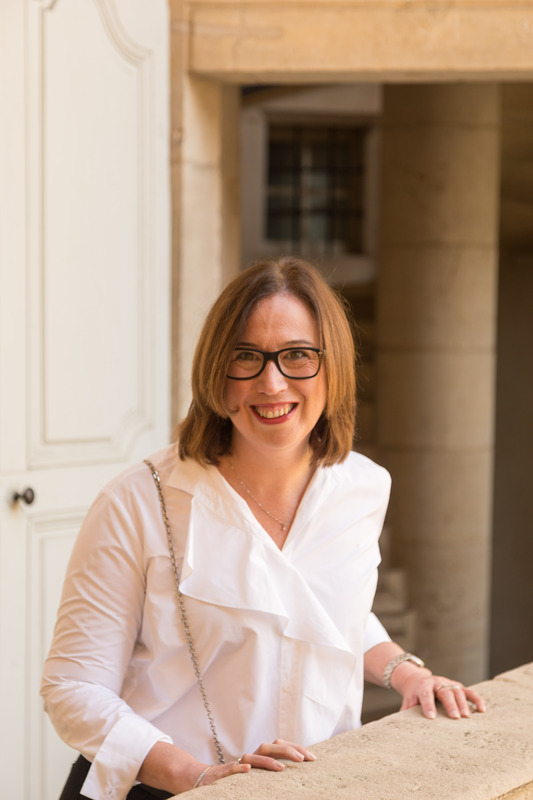 Some great foresight from me to already be following you on Instagram – I can’t wait to see your Bordeaux photos in particular – we are headed there for the first time in October.